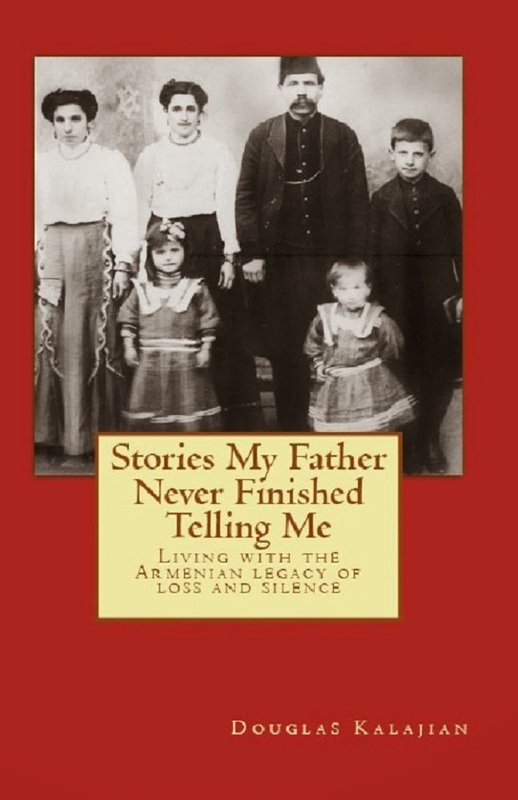 My husband , Douglas, is cursed with an Armenian double-whammy. 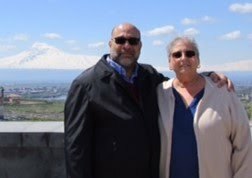 Not only is he allergic to eggplant, an Armenian staple, he’s also allergic to walnuts, which are sometimes ground up and hidden in recipes. We ALWAYS have to ask if either of these ingredients have been used when dining away from home. I am his “food detective” in restaurants, or when dining at events where an individual’s dietary restrictions aren’t considered. Needless to say, we don’t use either of these ingredients in our home cooking, and have learned to use suitable alternatives in recipes that call for them. 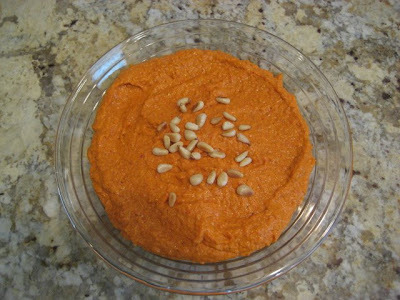 One recipe which I enjoy, Muhammara, is one of those recipes with “hidden”, ground-up walnuts. Fortunately, I am aware of this, and can steer Doug away, leaving more for me! 1. Puree all ingredients EXCEPT olive oil in a food processor until almost smooth. 2. With the motor running, slowly pour in the olive oil, blending until incorporated. 3. Serve with crackers, toasted pita chips, or assorted vegetable dippers. Shake the pan every 30 seconds, tossing the pine nuts. When they are lightly golden brown, remove from heat. Cool.